Audio Branding, What Are We Hearing Now? This time, our selection of audio branding and marketing articles takes a look at how to capitalize sound in marketing. We’ll even uncover the answer to the question you didn’t even know existed: What tune should you pair with your favorite cheese? Technology is allowing us limitless access to podcasts, audiobooks, music streaming, and voice assistants. 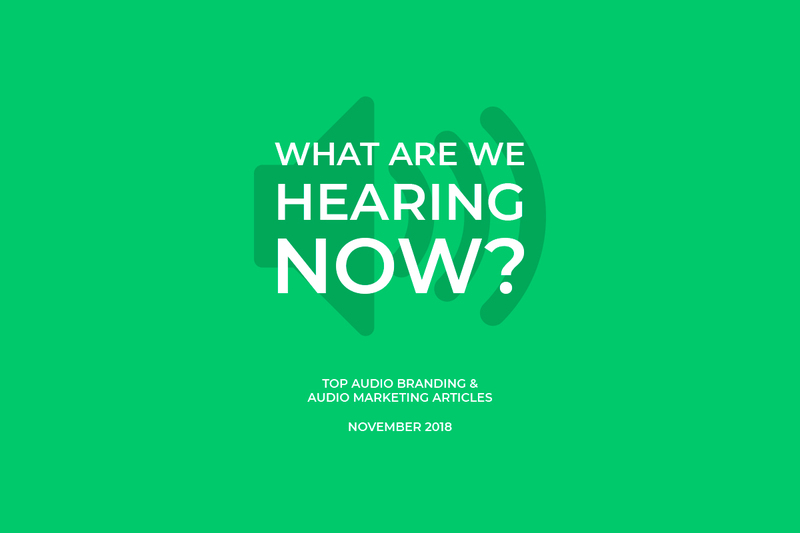 Despite this, many brands continue to heavily prioritize visual communication and are failing to truly leverage the potential of sound in their branding efforts. Music is an emotionally engaging and memorable way to increase brand recognition and recall. Audio is consumed in growing numbers as if we were reliving the golden age of radio. This article contains great tips on how to capitalize on music as a branding and marketing tool. Since videos now make up over half of the on-demand music consumption across the globe, the marketing ROI on unified visuals and audio content is more evident than ever. This article goes through the key points to keep in mind when creating marketing videos. You might also be interested in checking out a few of our own takeaways about video production sound quality. This one’s shameless self-promotion, but it’s a good read about the history and philosophy of Audiodraft. In the article, our CEO Teemu Yli-Hollo shares what audio branding means to us and why we think brands need to take sound seriously. Here’s a combo to remember: Cheesy music and Swiss cheese. A Swiss cheesemaker is conducting a quite extraordinary, but tasty experiment indeed. What impact does music have on Emmental, one of the most famous cheeses in Switzerland? Did you find this article helpful? Be sure to subscribe to get inspirational and insightful posts about how to connect with your audience on an auditory level.